The Long Term Visit Pass (LTVP) is for a common-law spouse, step-child or handicapped child of an Employment Pass or S Pass holder. Principal Pass holders earning over $10,000 AND $12,000 over from 1st January 2018 can also get a pass for parents. The Long Term Visit Pass can be applied for only by the work visa holder’s employer or the appointed visa agent. The minimum salary that allows a work visa holder accompany relative is 5,000 SGD and from 1st January 2018 revise to 6,000 SGD. Long Term Pass holders can work in Singapore if they can get a job. 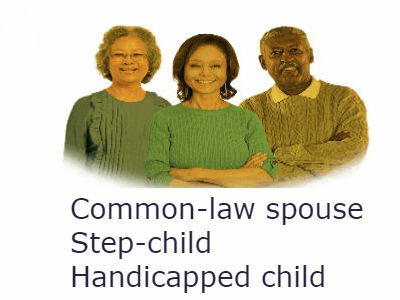 Who Common-law spouse, step-child or handicapped child of an eligible Employment Pass or S Pass holders. Those earning over $10,000 can also bring in their parents. Work in Singapore Yes. Eligible LTVP holders may be able to work here if they find jobs. Letter of Consent to work in Singapore if you are an eligible Dependant’s Pass holder, or an LTVP or LTVP+ holder married to a Singaporean or permanent resident. Who Eligible LTVP / LTVP+ holders and Dependant’s Pass holders who want to work in Singapore.